When it comes to printing technology there are lots of details you have to take into account. One out of the many is the printing process. Your printer could quite possibly inquire whether you want a CMYK or PMS and when you are not acquainted with these topics the question would just make you slump back to your whirling chair. The distinction between CMYK and PMS are often very complicated and technical but here’s your opportunity to learn. CMYK also referred to as the 4 color process, represents the colors employed in the printing procedure: cyan, magenta, yellow, and black. This system is typically utilized in inkjet printers. It functions by blending the four colors in different ways to create a variety of secondary colors. Pantone printing on the flip side is color specific and requires extremely accurate blends of ink to produce specific colors. One other variance between CMYK and Pantone printing is the degree of accuracy and precision. The Pantone printing is a lot more constant and standardized and capable of generating colors nearer in shade to the digital designs. However it is more expensive compared to CMYK, particularly when the printing job is not much. With CMYK it’s more convenient to package an assortment of jobs together compared to the Pantone. For a Pantone printing job, the printing equipment must be prepped for every printing job. Hence, it’s more affordable to run large printing projects with the Pantone process. Besides accuracy and pricing, CMYK and Pantone additionally vary in relation to whether or not you can use them along with RGB, (an on-screen color system). RGB is an acronym for red, green and blue and is employed solely for web based task. It is never employed for print production. RGB can be modified into the CMYK process. Even though, you will see an obvious alternation in color due to the fact that the color structure is created differently. RGB works with CMYK unlike Pantone. The distinctions between CMYK and Pantone must be taken into consideration when determining the color process to make use of. For consistent logos, signage and branding Pantone is a significantly better option. 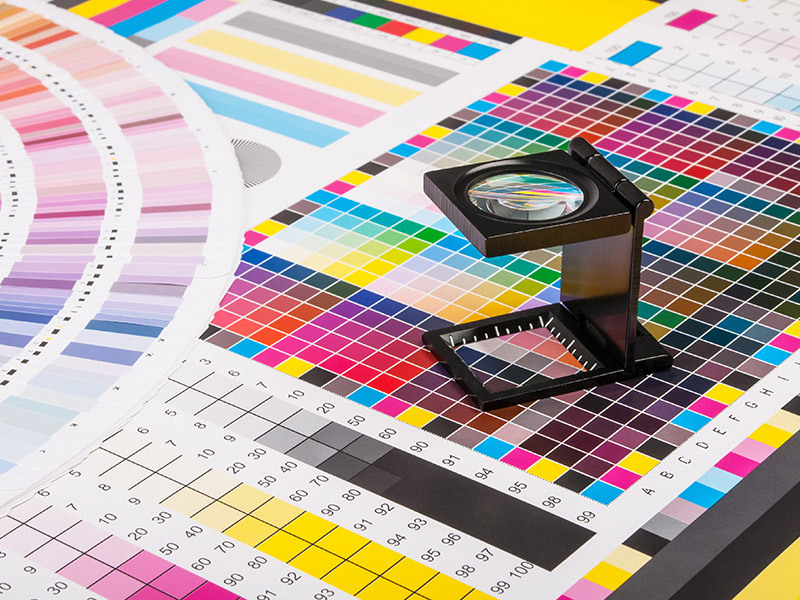 For printing projects where precise color isn’t a problem, CMYK is the most effective option. All this will depend on the nature of the printing and budgetary limitations. CYMK is exactly what the bulk of commercial printers use. Graphics and images targeted for production in a CMYK color space needs to be appropriately designed to print accurately. Printers frequently refer to their presses as 6, 5, or 4 color presses. Although this makes sense to printers and designers, it usually does not make sense to consumers. These numbers is the maximum numbers of colors that could be run in one pass. The Pantone Matching System colors are precise color formulation that can replicate accurately in print. As a substitute for simulating colors by blending primary colors, spot (PMS) colors are pre-mixed with present and published color formulas. There is generally a considerable price distinction between both choices and you’ll need to stick to your company’s branding recommendations. If accuracy in color is extremely vital then go PMS.